Jake Gyllenhaal is a pretty great actor. While that statement may not be universally accepted, we don’t think it’s a particularly controversial one. He’s made some fantastic films in recent years, and he is often one of the reasons that those films are so good. This makes a recent revelation all the more shocking. Peter Jackson once called Jake Gyllenhaal the worst actor he’d ever seen. We have to say, this is a pretty harsh response. Jake Gyllenhaal was not "one of" the worst actors Peter Jackson had ever seen, but in fact "the worst." And this is from the guy who directed Dead Alive so he surely knows bad acting. Even if you don’t think Gyllenhaal is a great actor, I think we can all reach agreement that he’s far from the worst. We have to assume there was more going on here than simply a forgotten accent. Maybe Jackson was just having a bad day. 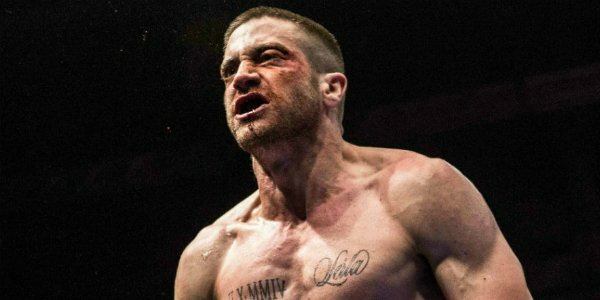 As many great roles as Jake Gyllenhaal has had, his career has been marked as much by the roles he didn’t get as it has the ones he did. In addition to losing out on Frodo, he also missed out on Spider-Man to Tobey Maguire and Batman to Christian Bale. Instead he’s had to deal with disappointment by being nominated for an Oscar for his work in Brokeback Mountain and taking on other unforgettable roles like those in Donnie Darko, End of Watch, and Nightcrawler. Watch the actor laugh at his bad audition choices below. Do you think Jake Gyllenhaal would have been a good Frodo? Let us know your thoughts in the comments.